Pregnant women battling substance abuse addiction in New Hampshire have a new place for treatment. Hope on Haven Hill opens its doors in Rochester on Thursday. The residential program will provide treatment for up to eight pregnant women in recovery as they prepare for birth. And new mothers will be able to continue living at the home for up to a year with their babies as their treatment continues postpartum. NHPR featured Hope on Haven Hill as part of a Morning Edition series earlier this year. 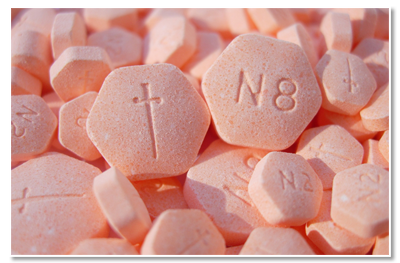 Morning Edition host Rick Ganley caught up again with Kerry Norton to talk about this week’s opening and opioid crisis in New Hampshire. She’s a registered nurse and is the co-founder of the program. You’ve been working on this for over a year now, and the last time we spoke was about six months ago when funding was a big question mark for the facility. What’s happened since then? On Aug. 3, the governor and the Executive Council signed a contract for us, and it did allow us the funding we needed for this year to be able to open our doors almost immediately, although it doesn’t feel immediate. Tuesday, we’re having our ribbon cutting, and we are admitting our first women Thursday. You received $480,000 through a state contract, but that’s paid for through federal funds, correct? Our client base is pregnant and parenting women in New Hampshire. We’ll have two moms who have recently delivered. And what kind of services will they receive? They’ll all be receiving group therapy, trauma-informed care. They will also be receiving parenting classes and enrichment classes in general. They’ll be provided a beautiful, safe, nurturing home setting, with really supportive, nurturing staff, as well. I understand you already have a waiting list. How long of a wait do you anticipate for those on that list? It’s hard to tell because things change all the time. Things are really fluid in this type of a service, things change daily. It just depends, but we plan to take really excellent care of all of the women here in the home and the women on our wait list. We are actively managing our wait list; the women on our wait list are already receiving services on an outpatient basis with us. They are receiving counseling, case management, recovery coaching; all of the services except the residential piece. Clearly there’s still a demand out there, so what needs to happen to make it easier for more facilities like yours to get up and running? We're starting to break some of the barriers of stigma and I think that people are starting to believe it's a disease. There's a change in mindset, and that will make a huge difference. It’s hard to wrap my head around it because we’re still in the thick of opening. It seemed really hard to do it, but what needs to happen is people just need to step up. A lot of people ask us how they can help. Funding needs to happen, we need to be able to be funded, other places need to be funded, and they need to have the knowledge that they will continue to be funded in the future. A lot of places aren’t apt to open if they think that funding isn’t going to continue, as well. We took a leap of faith because we know we have to do this. That brings up the question of sustainability. Once you get the doors open, how do you ensure the program continues? We will have the ability to bill insurance and Medicaid. And we just plan to continue to fundraise to fill in those gaps, and hope that we will be able to continue to have the support of the community the way that we have so far. Are you seeing any signs that this opioid crisis is getting any better in New Hampshire? Or is it getting worse? I don’t think that the crisis is getting better. I think that awareness is absolutely better. I think we’re starting to break some of the barriers of stigma and I think that people are starting to believe it’s a disease. There’s a change in mindset, and that will make a huge difference. When people think that it’s a moral failing or a behavior and don’t want to help somebody for their medical condition, it’s pretty isolating and it’s hard to get the help. I think that tide is starting to change. 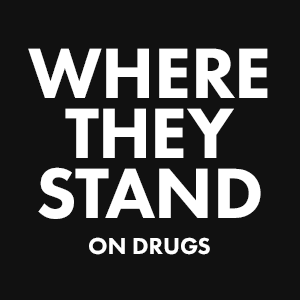 The more that happens, the more we’ll be able to provide access to treatment and the support for recovery, as well. What in the ways of red tape needs to be cut in order for facilities like Hope on Haven Hill to get off the ground? The state needs to work together with grassroots organizations willing to step up and take care of populations and women, all of the different types of populations that need this treatment. If the state could assist with some of that red tape, point people, assist in it. It’s a lot, but if we all work together, it can go much better. The state has been tremendous to us because we were really overwhelmed with it. They really stepped up and helped us to start unraveling the red tape to get us open and take of our residents that need it so badly. New Hampshire has a new Governor coming into office: Republican Chris Sununu. What are you hoping to see from lawmakers in Concord on this issue moving forward? Just that continued support, to not stop pushing forward. Governor-elect Sununu has been very positive, and supporter of Hope on Haven Hill, as a matter of fact. We’re really grateful for that and we’re hopeful that will continue. Lawmakers have to continue with the push because it’s not just something you can throw an amount of money and hope it will just go away. We have to continue all of the hard work that goes with it. New Hampshire is joining 40 other states in a lawsuit against the maker of Suboxone, a drug widely promoted to help opioid addicts. This story has been updated with a response from the Trump campaign. At his rally in Bedford last week, Donald Trump’s prescription for New Hampshire’s drug crisis — a wall at the southern border as a way to stop the flow of drugs into the country — earned plenty of cheers. That proposal, and his assessment of the state’s drug issues more generally, went over less well with New Hampshire’s leading drug prevention advocacy organization, New Futures. New Hampshire’s gubernatorial primary is just a few days away, and the top issue for many voters is how to solve the state’s ongoing opioid crisis. 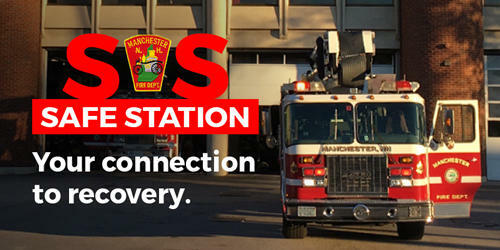 Back in May, Manchester Fire Chief Dan Goonan extended an open invitation to anyone struggling with an addiction: If someone walked into any of the city's 10 fire stations and asked for help, they would get it. Since then, the number of people who've taken the city up on that offer has far exceeded the chief's expectations.